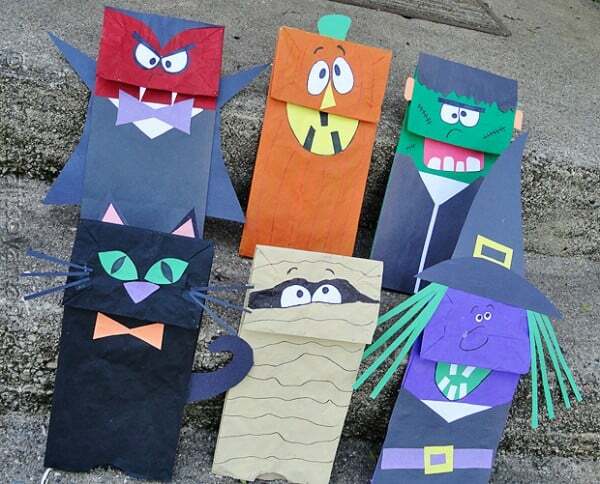 The brown paper lunch bag has been made into numerous different paper bag puppets over the years. 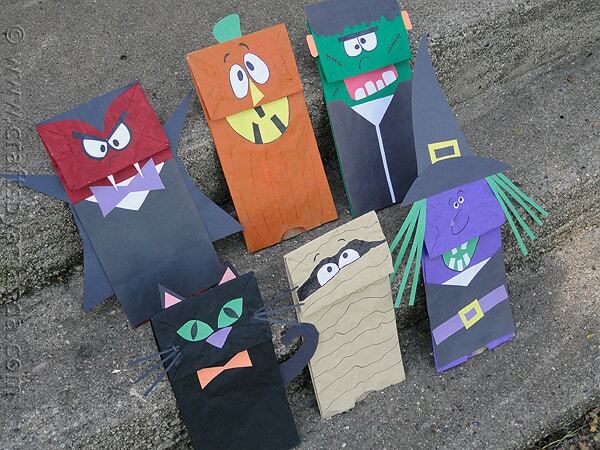 This year, grab the kids and have them make these Halloween puppets, complete with a Jack O’Lantern, black cat, a witch, the mummy, Frankenstein and Dracula! 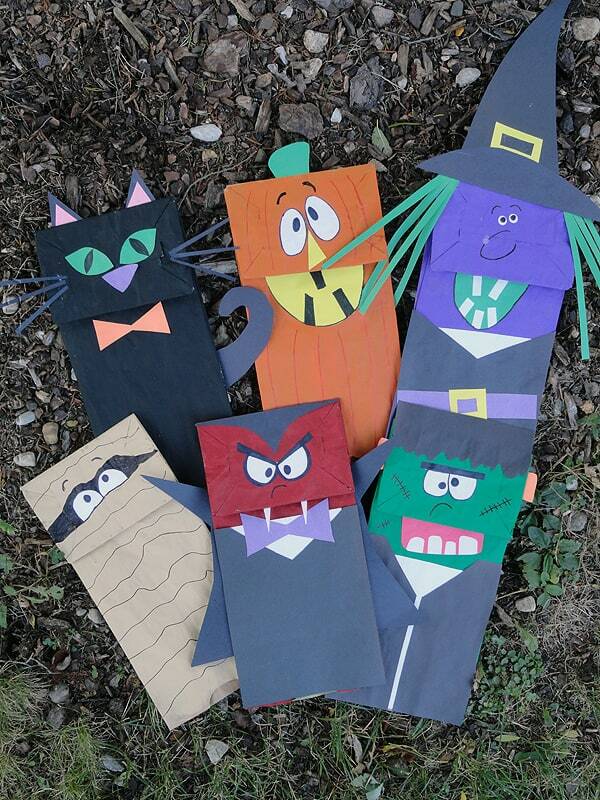 If you prefer happy faces over scary faces, that’s totally in your control. 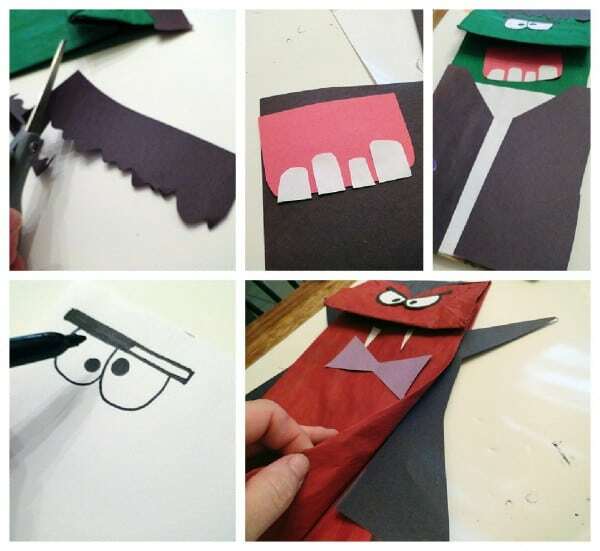 Simply make facial pieces according to your child’s preferences. Paint bags and let them dry. 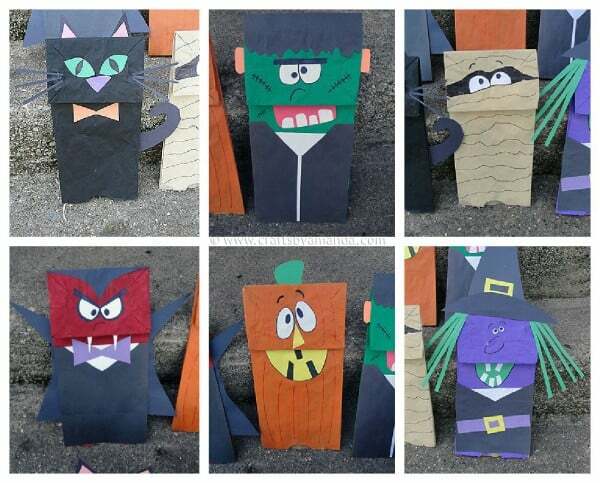 Cut hair, eyes, bow ties, and other embellishments from construction paper. use a glue stick to put it all together. Glad you like them Kirstenania, thanks for stopping by! Great designs. I just pinned as inspiration. 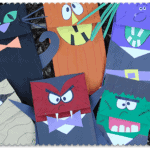 awesome idea, thank you for the sharing and an other great tute. Love them really!!!! Oh, these are so cute!! We will definitely be making some.